Product #16568 | SKU ECM44BC | 0.0 (no ratings yet) Thanks for your rating! 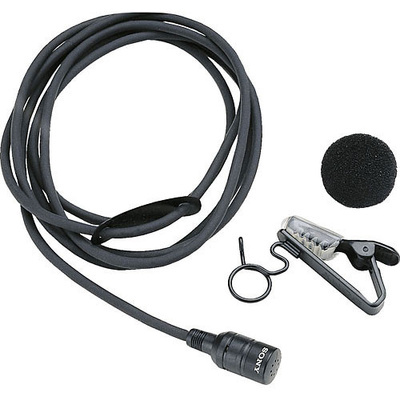 The ECM-44BC makes the exceptional quality of Sony's electret condenser microphones available for budget conscious productions, and a variety of sound reinforcement requirements, such as lectures and demonstrations. Measuring 8.5 x 14.5mm, the ECM-44BC reduces the visual distraction to the audience. The ECM-44BC can be depended upon for clean, bright, yet natural reproduction. Complete with a 1.2m cable and a SMC9-4P connector for use with the WRT-822A and WRT-860A beltpack transmitters.